Driveboo cooperates with renowned car rental companies such as Hertz and Alamo and experienced car rental brokers like RentalCars and Auto Europe. Find the cheapest rental car by comparing prices on the Driveboo website. 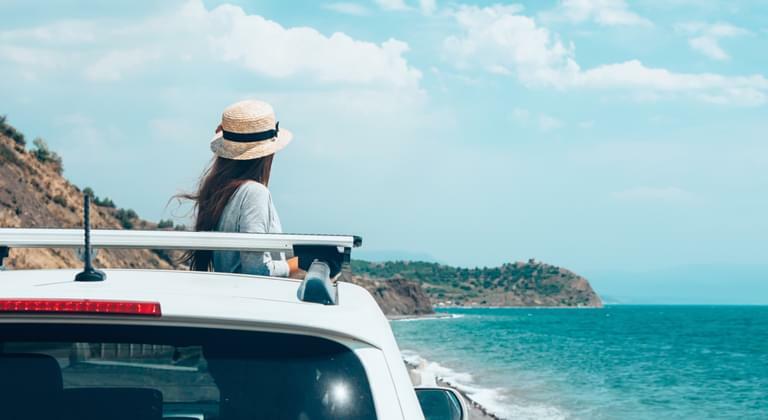 The many different car rental providers with different insurances and services quickly turn the sea into an opaque jungle. To ensure that you don't lose track on your search for car rental, there is Driveboo. On our portal you can compare not only prices, but especially best-price-performance packages. In your worldwide search for the right rental vehicle, we compare all available offers of our partners in 197 countries with more than 150,000 rental locations in just a few seconds. Whether you are looking for a cheap car rental in San Francisco or Orlando, we provide you with a transparent overview of all price-performance ratios for every possible search. We even have rental cars in more exotic countries, such as Mauritius. Driveboo is one of the only international car rental website offering car hire in Cuba, in destinations such as Havana City , Varadero Airport or Holguin Airport. Driveboo acts as a meta search portal for car rental price comparison. In doing so, we compare rental cars of both brokers and direct supliers. Therefor you can find good offers from cheap car rentals world wide in many different locations. However, Driveboo compares not only the prices, but also the respective insurance benefits and included extras, such as "best fuel option" or "unlimited kilometers/mileage". Through this comprehensive comparison, we can offer you the best price-performance ratio of our partners and point out the possibility of "hidden costs". With Driveboo you will find all important information presented in a transparent way and you can quickly and easily compare the respective offers, vehicle types, insurances and included extras (e. g. fuel policy, fully comprehensive insurance with excess, glass and tire insurance, additional drivers). Once you have found the car that suits you best, you can make your reservation using our booking form. With your individual car rental search, you have numerous filter options to adjust your car rental offers in such a way that you can easily find the perfect offer for you. This allows you to filter directly according to a specific vehicle type, for example if you want to rent a convertible or a van. In addition, you can filter the equipment such as "Navigation" or "Air Conditioning" already during your search. A popular filter is "renting a rental car without credit card or deposit". Driveboo also offers you the possibility to filter your rental location directly. In this way you can directly specify a place, street or railway station and compare the offers of these locations with each other. Numerous filter options such as "Navigation" or "Air Conditioning"
In addition to the filter options, you can view numerous customer reviews for the respective locations and suppliers. The reviews were done only by Driveboo customers and help you to find out all important information about the local provider. If you need to change or cancel your trip at short notice, this is also no problem at all when booking a rental car with Driveboo. You can cancel up to 24 hours before the beginning of the rental period free of charge. Therefor you simply send us an e-mail or contact our service team by phone. We are also happy to answer any other questions you may have regarding your car rental booking or search to find the perfect drive for you.